BEIJING — China's exports to the United States plunged in January and February as President Donald Trump's punitive tariffs chilled demand, while sales to the rest of the world also weakened. 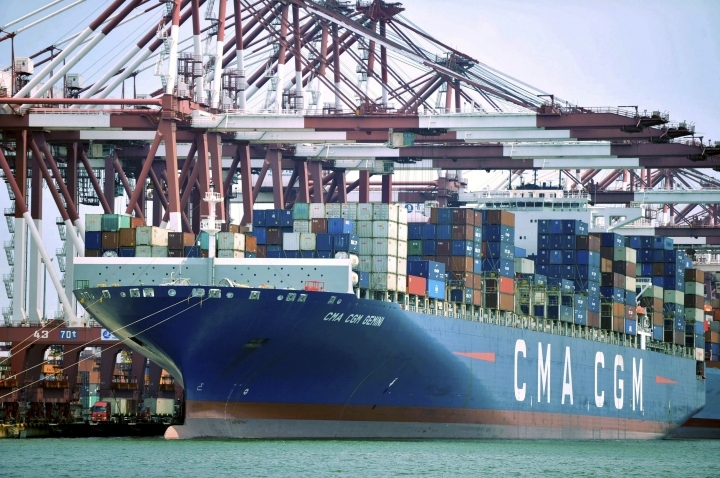 Exports to the United States, China's biggest trading partner, fell 14.1 percent from a year earlier to $52.3 billion in the first two months of 2019, customs data showed Friday. Analysts usually look at the first two months of the year together to screen out the effect of the Lunar New Year holiday, when factories close for up to two weeks. China's global exports sank 4.6 percent to $353.2 billion for the two-month period. The trade slump has added to pressure on Chinese leaders to make peace with Washington in their tariff fight over Beijing's technology ambitions. Premier Li Keqiang, the top economic official, warned this week China faces a "graver and more complicated environment." The decline in exports to the U.S. market represented a worsening of December's 3.5 percent contraction. Sales to the United States had kept growing by double digits through most of 2018 despite Trump's tariff hikes starting in July as exporters rushed to fill orders. But they started to slide in December once the full impact of the penalties hit. This is the weakest start to the year for Chinese trade since 2016, according to Capital Economics. Washington and Beijing say negotiations are making progress after Trump postponed another planned tariff hike March 1. But forecasters say even if they reach an agreement, this year's Chinese exports will be lackluster. "Slow global demand will weigh on China's export growth in 2019," said Louis Kuijs of Oxford Economics in a report. A truce with Trump would help exports, but "tensions on technology and China's industrial policy are unlikely to subside any time soon," Kuijs said. "The survival of the agreement will remain dependent on political judgments in Washington." Chinese imports of American goods in January and February plummeted 35.1 percent to $17.2 billion, depressed by Beijing's retaliatory tariffs and encouragement to importers to buy more from non-U.S. suppliers. In the same period, exports to the 28-nation European Union rose 2.4 percent from a year earlier to $64.7 billion. China's trade surplus with Europe was $21.9 billion. Total Chinese imports in January and February were off 3.1 percent from a year earlier at $309.5 billion, reflecting slowing domestic economic activity. The country's global trade surplus was $43.7 billion. The politically sensitive surplus with the United States for the two-month period was $42 billion.